Tata Institute of Social Sciences, Guwahati. Applications are invited from Indian nationals for filling up of following posts in Tata Institute of Social Sciences, Guwahati campus. 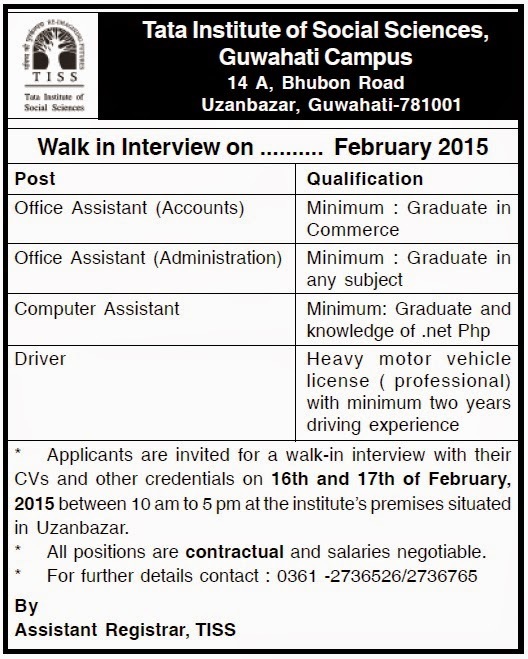 How to apply: Applicants have to go for a walk in interview to be held on 16th and 17th February 2015. Pl check the following image.